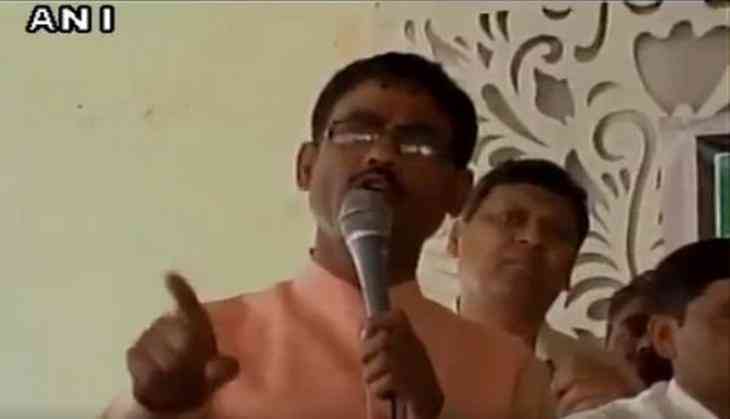 A video of Bharatiya Janata Party (BJP) MLA from Muzaffarnagar Vikram Saini has surfaced of showing him bragging about threatening police personnel and officials. Addressing a public gathering on 28 may, Saini narrated an episode where he talked about how he had threatened the police to retrive a party worker's car. The legislator, instead of appealing to the people to follow rules, bragged about how he used his power to get a traffic challan cancelled. The Khatauli MLA said he told a police officer, "This is not your uncle's government, so stay within your limits." "I asked the police official as to why he had challaned them. At this he said they did not have relevant papers or warrants. I asked the police to let them go even if they don't have the papers," he said. "This has never happened so far that I ordered the police not to issue challan and he didn't follow it." This is not the first time when the MLA triggered stir for his controversial remark. The BJP MLA had earlier said that he would break the limbs of those disrespecting and killing cows. He has also been accused of making inflammatory remarks during the Muzaffarnagar riots and was jailed for it.